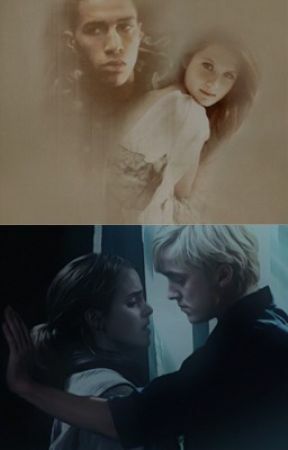 Hermione was almost done before Draco would pick her up. She were in her parents house and had fixed herself. The dress was red like blood and she wore a matching neckless. She hadn&apos;t done so much with her hair but it looked good anyway. It was a few minutes before she would be at the Malfoy manor so she checked if she had everything with her. When she was just about to take her purse with her and take her jacket, someone knocked on the door. She jumper by the sound of it, and was starting to think about who it was. 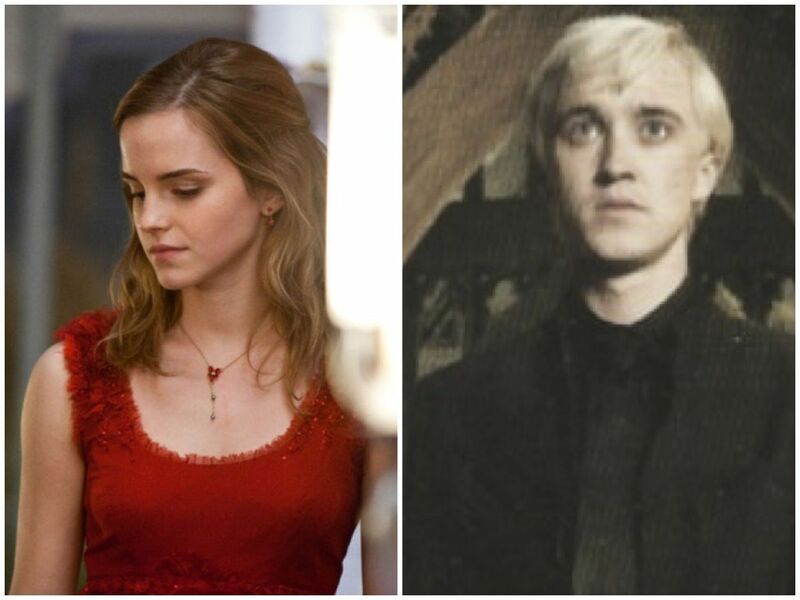 It couldn&apos;t be Draco, right? He bareley don&apos;t know where she lives in the muggle world. She took a deep breath and opened the door. When she saw his face she didn&apos;t know if she would be happy or just confused. For the moment, she was both.
" Ron?!" The ginger boy smiled at her with a kind smile and opened up his arms.
" I know we&apos;re not dating, but can I still have a hug?" Hermione came back down to earth and gave him a sisterly hug. " How are you Ronald?" She asked.
" I&apos;m fine, it&apos;s hard working though. But I&apos;ve been through worse" Hermione chuckled at their memories together at Hogwarts and all their crazy adventures.
" So where are you going?" He said when he noticed her dress and neckless and make up. Hermione wasn&apos;t sure if she would tell him the truth. Maybe he would get upset and leave? But he was her friend so he wouldn&apos;t.
" I&apos;m going to a Christmas party" She said with a weak smile. " How fun! Where?" " Uhm, well, don&apos;t get mad or anything....but...."
" Hermione seriously what is taking you so long....oh....hi Weasley" Ron turned around and faced the blonde and pale Slytherin boy with the stormy grey eyes.
" Malfoy??" Ron looked at Malfoy then to Hermione, then back to Malfoy.
" Yeah...he invited me to his family&apos;s Christmas party" Hermione explained. " But I don&apos;t know how he found me"
" I wanted the pleasure to pick you up myself. But the party has already started and...."
" Yes sorry. But Ron came here and..."
" How are you Malfoy?" Ron suddenly said and didn&apos;t let his eyes off Malfoy.
" I&apos;m fine Weasley. You?" " I&apos;m fine, never been better" Hermione just stared at the two boys and could feel the tense moment they all shared.
" Shall we go, Draco?" Draco smiled and nodded.
" You can stay in the house if you want Ron, ask Harry  to come over maybe? I&apos;ll see you later"
After they disapparated Hermione finally asked " How in the bloody wizarding world did you find me?!" " I have my ways ms Granger" He took her hand and held it close to him.
" Shall we?" He said.
" Yes" She replied nervously.